There are always little surprises. About an hour before we left for dinner Thursday night, Kate came into the family room and brought with her two pair of socks and a tube of toothpaste with a missing top. She pointed to the photo book her brother made for her and asked, “Should I take this?” I told her I didn’t think she would need it at Casa Bella. She said, “Okay” and sat down in a chair with her iPad. As we were about to leave for dinner, she picked up the two pair of socks she had earlier placed on the table beside her. She said, “I want to take these.” I said, “Do you think you’ll need them?” She said, “Not right now, but I really want these black socks.” Then she added, “These white ones too.” I got up to go, and she said, “I think I had better go to the bathroom now.” She had the socks in her hand and said, “I want to keep these.” I put out my hand and said, “I could put them in your sock drawer.” She gave me a big smile and handed them to me. The tube of toothpaste remained on a table. We had a very nice time at Casa Bella. This was not one of their music nights, so we ate in the smaller front section of the restaurant. Until we started attending their music nights the first, second, and third Thursdays of the month, we always ate in this section. It felt a little like coming home. Over the years, this is where we had come to celebrate special moments as well as to console ourselves when we needed to be comforted. It is very quiet and offered just the right setting for reminiscing. At one point in our conversation, Kate asked, “What is the name of this place?” I shouldn’t have been surprised that she didn’t remember the restaurant’s name, but I was. We’ve been coming here almost 47 years. We are here at least three nights a month. We know the family that owns it. As Kate’s brother, Ken, reminded me yesterday morning, she doesn’t usually remember my name and we have been married 55 years and had our first date a year and a half before then. I shouldn’t expect her to remember the name of the restaurant. Both the strange behavior and the increasing loss of memory continue to mix with many aspects of her behavior that are perfectly normal. I suppose that is what throws me. Some things are as they always were while others are new. We can’t have things the way they were and are adapting to a new world. Kate changes. I change. Things don’t always work out. As Kate has been sleeping later in the morning and also becoming more dependent, I have been making my own changes. I know that I have talked a lot about living in Kate’s world, and that it has worked. I’m not sure that I have also stressed that caregivers must also engage their rational abilities as well. That means shifting gears to solve or prevent problems. I’ll give you an example of what happened this morning. It has become increasingly challenging for Kate to select her clothes in the morning. She has tried selecting them the night before, but she usually forgets some of the things she will need (e.g., her shoes, socks, a top, etc.). I decided to address this issue last week and have been selecting her clothes either the night before or in the morning before she is up. This has worked pretty well. You may remember that she fell out of the shower last week. I decided it was safer for her to shower in our bathroom that has a walk-in shower. Some mornings, she chooses our bathroom anyway. This past week I caught her before she was about to use a shower in another bathroom and suggested that she use ours. That worked. When she showers, she often uses several towels. That usually means at least two bath towels. In addition, she often uses one or more hand towels and, sometimes, the bathmat. When she finishes she drops or throws them on the floor or counter tops or whatever is nearby. That’s not a problem for me when she is using another bathroom; however, it conflicts with my OCD when she uses our bathroom. I try to keep all the towels, toothbrushes, and toothpaste in their “proper” places. That means a clean up after she showers. Since she doesn’t know which towels are hers, she often gets mine. To solve that I started keeping two on top of the counter directly across from the shower and pointed them out to her. Once or twice she has used at least one, but she still opens a drawer and pulls out one or two other hand and/or bath towels. When I had the bathroom redone, I had two hooks installed inside the shower to hold towels. That way the person showering could dry off without opening the door. That gave me another idea. After my shower last night, I hung two bath towels for her on the hooks. In addition, I left the original two towels for her on the counter in case she wanted more. I thought I had it made. I had adequately addressed the problem, for me anyway. The shower issue was no problem for her. It was solely mine. Now I can tell you the results I had with my little experiment. Kate went to bed earlier last night, so I thought about the possibility that she might wake up earlier this morning. I checked on her once or twice, and she was still sleeping. I got busy on my own things. When I checked on her again, I discovered that she had already showered and not in our bathroom, so I hung her towels back on the towel rack where they are normally kept. I can’t say that my plan for the shower didn’t work. I just slipped up and didn’t get to her quickly enough. Next I noticed that she had left all the clothes I had put out for her right where I had put them last night. She had gotten out her own clothes except for a top. I went to her closet and brought one to her. I also got her a pair of shoes and socks. She suggested that I let her take care of the rest, and I did. When she was ready to go to Panera (yes, we were early enough for that), I noticed that she wasn’t wearing the top I had picked out. I didn’t say anything because the one she picked out was just fine. This often happens. I am never sure if she just didn’t want to wear the one I picked out or if she misplaced the one I had given her. I think both of those things happen from time to time. I don’t worry about this. The important thing is that she has a top to wear. However, it’s one more example of the things that I do to prevent a problem only to discover it didn’t work the way I intended. I’m just glad our problems are not bigger than this, except for her Alzheimer’s itself. That, of course, is the biggest issue we have faced in our entire marriage. What is different between caring for a parent and caring for a spouse? Sometime during the late summer or early fall of 1993, I received a call from my mother. Calls like this one were always from my mother, not my father. In our conversation, she brought up the topic of their planning ahead and thinking of moving out of West Palm Beach to some place that would be closer to either my brother or me. We didn’t settle anything in that conversation, but after that I talked with Kate and then Larry who talked with his wife. Together we decided that being near to us would be a good option, and over Memorial Day weekend in 1994, I flew to West Palm Beach and drove them to Knoxville. The movers delivered their furniture the following day. Although I knew that my dad had had several medical problems over the years, I didn’t think that might be the motivation for their move. I still don’t know. I do know that three or four years later, the social worker at their gerontological practice informed us that Mom had dementia. She approached the subject with us very delicately, but we already knew. Exactly when we became aware I am not sure. It wasn’t right away. Now that I have had a little more experience with dementia, I feel sure that she was showing signs of dementia before their move. She died in 2002, four or five years after the social worker gave us the news. I spent a significant amount of time with my parents immediately after they arrived in Knoxville and through her death. After her diagnosis, I was particularly attentive to helping Dad to the extent I was able. I was still working and traveling, but I was with them a good bit. During the last year or two of Mom’s life, I frequently took them an evening meal. Larry and I worked with the social worker to design a plan for their care as Mom’s condition worsened. Dad was never receptive to having anyone come in to help. Neither was he interested in moving to an assisted living facility. He didn’t have the financial resources to pay for it, but Larry and I were already subsidizing their income significantly and would have been willing to pay for it. Looking back, I am amazed that Dad was able to handle her care so well. I never heard him complain. He did many things to keep her active. They delivered Meals on Wheels. They volunteered at a local senior center. They attended a local theater. They made a lot of friends. When she died at home, he was turning her every two hours. Fortunately, that lasted only a day or two. I thought I understood exactly what he was going through as her caregiver. Since Kate’s diagnosis, I feel I really understood very little. I also feel quite different about Kate than I did about my mother. I loved Mom, but I never felt as troubled or sad as I have felt about Kate. I have also read a lot about other caregivers who cared for their parents. As a result, I have made two observations. 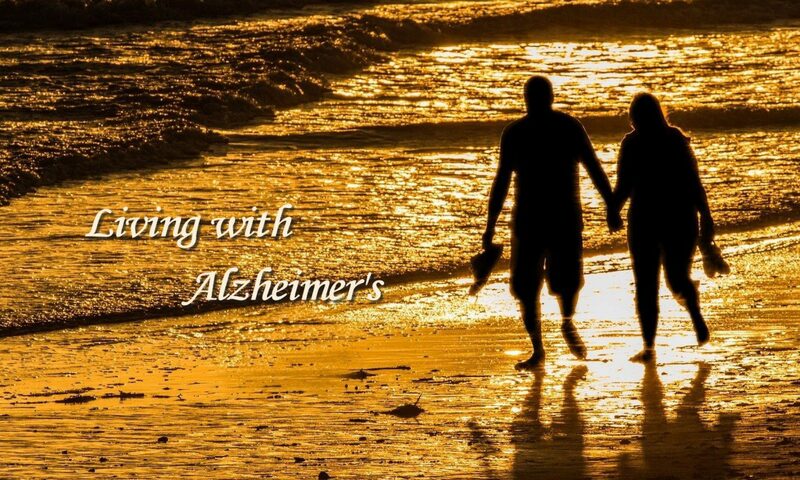 First, I realize how easy it is for sons and daughters to miss the many signs of dementia. Second, I am often surprised at how long it takes for us to take action. These go hand in hand. Unless we are living with our parents, we don’t fully grasp the symptoms of dementia. I don’t believe that I have felt differently about Kate’s Alzheimer’s than that of my mother’s because I loved Mom any less. I believe it’s because sons and daughters whose parent is not living with them never have sufficient information to fully understand what is happening. It is easy to miss. Many of the people who have known Kate have been surprised to know that she has Alzheimer’s as well as how far along she is. That is because they don’t have the same opportunity to observe all of the symptoms. They see her doing much better than they can imagine. They generally imagine the latter stages of dementia. They don’t understand how much time there can be between the first signs and the state of a person at the end. In addition, they don’t understand that someone with dementia still retains many capabilities even as they lose others. Of course, there is something more that makes me respond differently to Kate than to my mom. That’s the nature of the relationship itself. At least in successful marriages, the two partners live such intertwined lives that in a way each becomes a part of the other. At lunch on Tuesday, I noticed a “Yin Yang” tattoo on the arm of the hostess. I pointed it out to Kate. It was no surprise that is something that has faded from her memory. She asked about it, so I pulled up a picture on my phone and then explained the meaning of it. As I did, I thought it applied beautifully to our marriage and that of many other couples as well. In significant ways, we are very different personalities, but we complement each other. We also overlap in other important ways. During the past 55 years, we have shared many highs and lows together. There is no other person with whom I have shared so many significant experiences. In our particular case, that has been especially important in helping us adapt to the changes brought on by Kate’s Alzheimer’s. It also means that what happens to her also happens to me. When she suffers, I suffer. When her life changes, my life changes. This helps me understand the difference in the way I feel about her compared to the way I felt about my mom. Not living with my mom, I never fully understood what she was experiencing. Perhaps more importantly, the love relationship between a husband and wife is quite a bit different from the love one has for a parent. It isn’t that it’s any less. It’s just different. Kate’s confusion continues and along with that her dependence on me. Despite her confusion over our marriage, we had a nice lunch. We had two brief social encounters with friends we hadn’t seen in a while. One was a former neighbor, the other a member of our music club. After lunch yesterday, we came back to the house for a little over an hour before we went for our hair appointments. During that time, we relaxed in the family room where Kate worked on her iPad. The music was relaxing. It was a very pleasant moment in the day. After our haircuts, we were off to Barnes & Noble where we also saw a couple of friends who stopped at our table to chat. From there we went to Bonefish Grill for dinner. Once again, we saw several people we know from our neighborhood and had a good meal. When we got home, we spent a little time in the family room where I watched the news. Then we retired to the bedroom for more of Fiddler on the Roof. After saying yesterday that Kate only puts down her iPad for Les Miserables, I noticed that she quickly became engaged with Fiddler. We watched for an hour during which time she never opened the iPad. Watching an hour or so of a musical she enjoys is becoming a good way to end the day. She enjoys herself must direct her attention away from confusion and loss of memory. I am noticing more confusion at bedtime now. It is something that has been happening for a good while. It’s just that now she seems to be especially confused about getting ready for bed. That has obviously happened in the past when she has gone to her room to get a night gown and not come back with one. During the past few days, I have taken the lead and said, “I’ll get your nightgown.” She says, “That would be nice” or “Thank you.” There is no sign of independence. I think by that time of the day she wants what is the easiest thing. I woke her at 10:40 this morning. I think she was about half awake anyway, and I would like for us to get to lunch before Mary comes at 1:00. She got up easily, but it was obvious that she was confused. She asked me what I wanted her to do. I told her she could take a shower in our bathroom. She asked, “Where is that?” I point to it and told her I would show her. I got towels out for her. She seemed very unsure of herself. I definitely feel better about her showering in our bathroom because of the walk-in shower. She has showered there every day since her fall last week. I feel we were fortunate that she didn’t hurt herself. The next day I asked her if she felt any pain from the fall. She didn’t remember the fall and didn’t have any pain. Life is quite a mix of things right now. I suspect this is only the beginning. I am just glad that we can still enjoy time together. I would not have believed it 7 ½ years ago. At lunch, Kate and I had an interesting conversation. I only wish I could remember precisely what she said. I’ll do my best to capture the essence of it. It began when she asked my name. I told her and said, “I am your husband.” She was surprised and said, “You’re my husband?” I said, “Yes, did you think we were friends.” She said, “Buddies.” I told her we are buddies, but I am also her husband. Then I added that we have been married 55 years. She said, “No way.” She usually finds that hard to believe but accepts the fact that I have told her. This time she wouldn’t accept it. I mentioned it later during the meal. She still didn’t believe it. Several times she poked fun at me and said, “I’ve been around you too long.” I found it interesting that she hadn’t remembered that we are married, and yet she retained the awareness that I often joke with her. Of course, this fits well with what I do know. People with dementia retain their memory of feelings about people, places, and things long after they have forgotten names and other specifics about them. A little later in the conversation she said something similar. She said, “You can relate to people who are different from you.” At the risk of being wrong with my own self-analysis, I would say that she is right. Having said this, I still find it surprising when these seemingly contradictory things occur in such close proximity. On other occasions, for example, she might fail to remember that she has children and then say something about them that is true. All of these things are just further examples of how the brain’s circuitry gets scrambled for a person with dementia. That is hard for the rest of us to understand. About an hour before we went to bed last night, I played another portion of Fiddler on the Roof that we had started Sunday night. I thought about taking it out and going back to Les Miserables which has been a clear winner every time I have played it, but Fiddler has been her second favorite as well as mine. I am glad to say that she enjoyed it once again. This is the movie version in which Topol plays the part of Tevye. She really likes him and often expresses it in the different scenes in which he plays a central role. She also comments on particular songs, saying something like “Oh, I like this one.” It is always a pleasure to see her enjoying herself in this way. It is interesting that she continues working on her iPad while watching. That is her typical way of watching all of the musicals except Les Miserables. Any time I put it on, she drops her iPad at the first sound of music and doesn’t pick it up again. I’m not entirely sure why she finds Les Miserables so gripping. Clearly, part of it is the music. Part of it is the acting. I think it is also the fact that this one is a concert and not the stage production. That puts greater emphasis directly on the music as well as the singers. There are lots of close up shots of the singers who are very expressive as they sing. Kate finds them very moving. Whatever the reasons, she is absorbed by this particular production. It has been good therapy, and I plan to continue using it. Kate rested for 1 ½ hours after Anita left. I woke her up for dinner. She woke easily and didn’t show any signs of confusion. That occurred in the car on the way to dinner. We only went a short distance to Chalupas, but she asked my name at least three times, perhaps more. As we pulled into the parking lot at the restaurant, I told her my name and said we had been married 55 years. That surprised her. She said, “We’re married? Are you sure?” I told her yes, that we had married in 1963. As I pulled into a parking space, she said, “Are we legal?” I told her we were. She asked, “Who did this? You’re gonna have to explain this to me.” I told her I would once we were inside, and I told her about our first date, the wedding and her preacher who conducted the ceremony. I decided to go in another direction. I said, “There’s only one thing that matters. That’s us. We know we love each other and that we’ve had many great experiences. She agreed. As I pulled into our garage, she said, “I like all this.” I said, “You mean our house?” She said, “This is our house?” Once we were inside, she said she wanted to go to the bathroom and to brush her teeth. I could see that she was unsure of where to go. I told her I would show her the bathroom and took her there. We are now sitting in the family room where she is going through the photo book that her brother Ken gave her. I had gotten it out to show her pictures of our wedding. She recognized the photos and the church parlor where the reception was held. That seemed to settle her, and she has been looking through it for about twenty minutes or so. I don’t ever recall another instance in which she was so confused, but she seems all right now. I’ll see what happens as we get closer to bed time. I am going to play one of our musicals to see if we can end on a high note again. My personal reaction to the situation has been less sadness than a resolve to help her in any way that I can. She really needs help, and she trusts me. After giving my explanation of our courtship and wedding, she said, “That’s what I like about you. You just say it straight out.” I’m not exactly sure what she means by that, but later she said, “When you tell me things, I can understand them.” I don’t think this is quite true, but I sense her trust in me and want to be a supportive as I am able. Up until that moment, I had never referred to Anita or Mary as “sitters.” To me that sounded too much like “baby sitters,” and I didn’t want to offend Kate. Apart from using their names, I just said pretty much what I said above, that Anita (or Mary) is someone to stay with with you.” On a couple of occasions, she has indicated that she liked to have someone with her. I also thought she might be self-conscious about being with them at Panera, but that doesn’t seem to be a problem. Before leaving for Rotary, Kate said she was tired and asked, “What if I want to rest?” I told her she should feel free to rest. She asked if she should rest on the sofa in the family room or on the bed in our bedroom. I told her should could rest wherever she felt most comfortable. She chose the bedroom. When Anita came in, I explained that she had lost some sleep last night and was resting. Later, while I was at the Y, I received a call from Anita. She said that Kate had gotten up and seemed confused. Anita thought she might have had a dream because she said something about my mother and was a little teary. This seemed strange as my mother died in 2002. Kate asked about me. Anita thought she might want to speak with me. I asked her to put her on. She asked where I was. I told her I was on the treadmill at the Y. She seemed perfectly fine. I told her I would be home as soon as I finished. We said goodbye, and Anita got back on the phone. She said they were going to Panera. On the way home, I stopped by Panera and told Anita that I would take her home. When we arrived, she said she wanted to rest. I told her I was going to be in the family room. She decided to rest on the sofa. I wonder how much of her behavior is related to having lost a lot of sleep last night and how much, if any, is another sign of the changes that are coming our way. I guess I will find that out in the days ahead. If you read my previous post, you may remember that Kate rested for about two hours yesterday afternoon. That was after sleeping until 10:30 yesterday morning. Even though she had never had a problem before, I began to worry that she wouldn’t be able to go to sleep last night. We got to bed a little later. Kate was in bed at 10:00. I followed her at 10:35. Sometime after midnight, I heard her turn over and realized she was awake. I’m not sure that she had been asleep at all, but she was very wide awake and talkative. That led to a long conversation during which we both reminisced about our relationship, our children, her parents, our travels. These are all things that we talk about regularly. I don’t think there was a thing that was new including our agreement that we have been a very lucky couple. Interlaced with the discussion were some of the usual questions about names. Early in the conversation, she mentioned how proud she was of our children. A little later, she asked if we have children. Then she wanted to know all about them. As she often does, she asked me to tell her where we first met. Knowing that I was likely to be up early, I didn’t play as big a role in the conversation as I might normally do. I felt the need to get to sleep. Finally, at 2:35, I said something about going to sleep. She took the not-so-subtle hint and said she thought she would go to sleep as well. That’s the last thing I remember. During our conversation, I had decided I would sleep late this morning. Habit got me. I was up at 5:35. I dressed for my walk, ate breakfast, and was out the door a few minutes after 6:30. I walked just over 4 miles and returned home at 8:00. To my surprise, I saw that Kate had gotten up. There are only a few times that she has gotten up that early in the past couple of years, and that was after a good night’s sleep. I was sure that she would sleep until I woke her for lunch. As it turned out, she was ready for Panera before 9:30. That is where we are right now. The lack of sleep may be having an effect on her. She just asked, “What is your nome?” She knew that wasn’t right and repeated it. She still couldn’t say “name.” I gave her my name. Then she asked her name. Moments later she asked my name again. I just gave her my first name, but she wanted the whole thing. Then she said, “What’s my name again?” She asked where we lived. When I told her, she tried to say “Knoxville.” As she did with “name” earlier, she pronounced it in a funny way. All of this is not dramatically different from what goes on every day, but the look on her face and the way she is speaking makes me think she is more confused than usual. Today is my Rotary day. That means the sitter comes at noon instead of 1:00. I like for Kate to get her lunch around 11:00 so that we can easily get back home in time to meet Anita. I have frequently had to call her and tell her to meet us here, but that won’t happen today. I suspect Kate is going to be tired. I’ll get her a sandwich in another twenty minutes. Then we’ll go back home. My guess is that she will take a nap. After Rotary, I will go to the Y. That will keep me awake. I hope we will get our sleeping back to normal tonight.